Treating Liverpool like monopoly board. "I'll build a hotel on that please"
"Oh I see you landed on Bramley Moore, that'll be £4.5m thank you"
Moshiri just hit Kopite Trolling level 100. Anyone got a link for that RAWK site. This is what happens when the real money boys come to town. They don't just build a few thousand seats from their office in Boston, they buy the most iconic building in the city to use as their office and they build a new stadium. What can you even say to this? Absolute quality this. 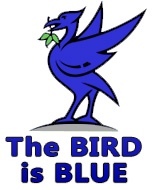 Think of all the cunts with liverbird tats going in to meltdown.